In previous post, we implemented the Bubble Sort algorithm. In this, we can implement the Selection Sort algorithm and it's time complexity. 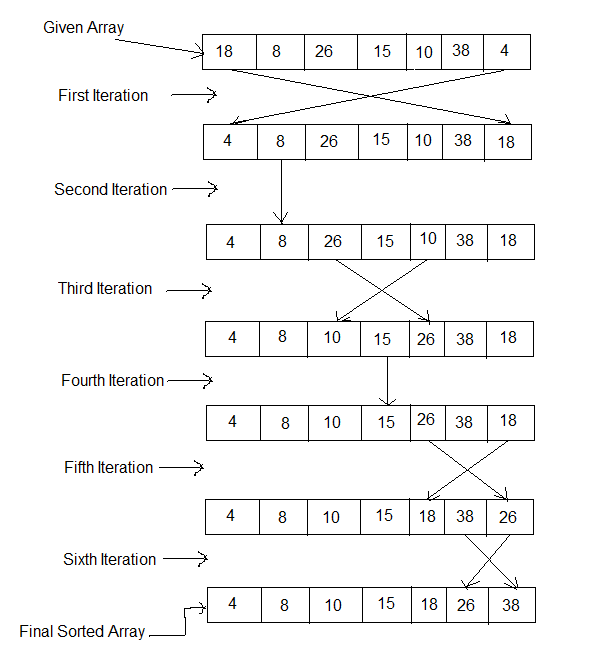 The selection sort is a combination of searching and sorting. During each stage, the unsorted element with the smallest (or largest) value is moved to its proper position in the array. The number of times the sort passes through the array is one less than the number of items in the array. In the selection sort, the inner loop finds the next smallest (or largest) value and the outer loop places that value into its proper location. Selecting the lowest element requires scanning all n elements (this takes n - 1 comparisons) and then swapping it into the first position. 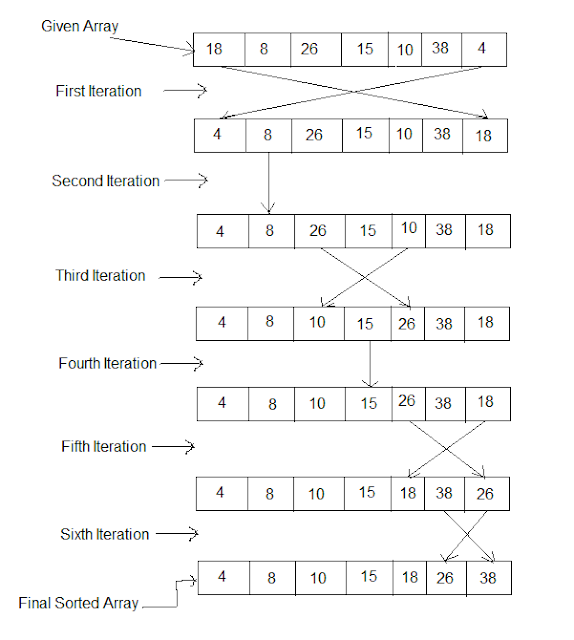 Note :-- Selection sort is faster and more efficient compared to bubble sort, because this sort performs less number of swaps compared to bubble sort process therefore even both the sorting methods are of O(n^2).